Mendelian Inheritance: Basic Genetics or Basic Mistake? Part V.
This series of posts has been about the illusion of simple Mendelian inheritance, that has been an enormously powerful tool in understanding how genes are inherited, working through carefully chosen experimental situations in which traits were so closely tied to specific alleles (variant states of a single gene) that it seemed as if the trait itself were being inherited. But it's only genes that are inherited (except for the goop that's in the fertilized egg or other cell that starts a new organism on its way). But we've said that the more clear-cut (or argued to be clear-cut) version is what one sees for a selection of variants in a selection of genes, and it grabbed scientific attention because it fit our expectations of how inheritance works, based on Mendel's results with carefully chosen traits in peas, and similar trait-selection for the following century. 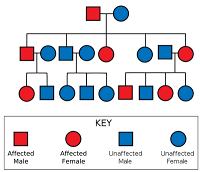 Even then candid acknowledgment will be typically made that there is variation in the actual traits that people in the same family have: not all the red dots are equally solid or red, as in the figure. And we know that as a rule, since most effects of individual variants are very small, and many variants contribute to most traits, even the basic idea of Mendelian inheritance makes little sense as a rigorous theory of inheritance--and we should realize that, accept that, even if we wish things were simpler. The real world doesn't have to fulfill our wishes! In fact, fine classical papers from around 1960 showed that the appearance--the illusion--of Mendelism can arise in another way unrelated to the extreme, usually rare ends of the allelic effects distributions. If a presence/absence trait, like hyptertension vs normotension, stroke vs non-stroke, cancer vs non-cancer, arises when a threshold is exceeded on some underlying quantitative trait (e.g., if your blood pressure rises above some agreed-on cutoff level for calling it hypertension), and if many different genes contribute to it, the trait can occur in families in a way that appears clearly 'Mendelian', that is, as if only a single allele were responsible. We know that even with complex inheritance, children will resemble their parents, and we know the average extent to which that should happen. Generally, you're half-way between your parents' trait levels, such as stature. But the usual idea is that this doesn't apply to discrete (yes/no) traits that follow Mendel's rules: you're either this or that, but not a half-way blend of your parents for such traits. As Darwin would say, the traits do not 'blend'. Nonetheless, as was shown in the '60s, the probability of a qualitative trait (yes/no, like hypertension of diabetes) can be similar enough between close relatives that it appears to follow Mendel's rules. This is because if you have a combination of genetic variants, across your genome, that makes your blood pressure high, your children will inherit half of those (on average) plus whatever similar risk effects your spouse may have, and for a generation or two it can have a net result of around half of children of an affected parent also being affected with hypertension, which is what you'd expect if there were just one Hypertension gene with two states, normal and hypertensive. The illusion can arise under a broad set of circumstances, and can fuel hopes of simple situations----or hopes that GWAS will, after all, really work. This means that, in addition to all the other things discussed in this series, and not even considering shared environmental effects which can often be by far the most important, multi-gene causation can reinforce the ideas of someone assuming that Mendelian inheritance of the trait is true. We can relate all of this to GWAS findings in another way as well. If a given allele is common enough in cases for its effects to be found and reach statistical significance, relative to its frequency in controls, then it has a chance to be detected in a GWAS study. But this depends on its penetrance, that is, on the strength of its effects, on their own, on a trait measure like stature or blood pressure, or on the presence of a disease. Highly penetrant alleles will be found more frequently in cases than controls because they have a higher chance of 'causing' the trait. The greater the effect, the more likely if you have the allele you have the disease. This is a kind of 'dominance', because the allele is being detected against the other allele at that gene in individuals, plus whatever other relevant variants they have in their genome. That typically only a few genes are identified in this way shows how relatively rare real dominance is--how far it is from being the baseline, basic nature of inheritance! In fact, most variants that contribute contribute so little--have so little 'dominance' in this context--that we simply cannot detect their individual effects (or those effects are not enough to generate a statistically 'significant' association with the trait). Put another way, these various considerations show how, if we assume a theory, we can make the data fit the theory and also assume we understand the data. But if that theory is wrong or very inaccurate, it can lead us far astray.....as Mendelian theory has indeed been doing for more than 150 years. 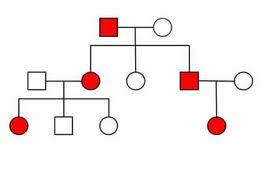 Mendelian Inheritance: Basic Genetics or Basic Mistake? Part II. The idea of Mendelian inheritance, revered for more than a century, was initially about the inherently causal nature of dominance and recessiveness. The A allele always and, presumably, inherently, made its effects manifest, as in the accompanying figure. Even as late as 1995, an influential paper termed this 'physiological' dominance. 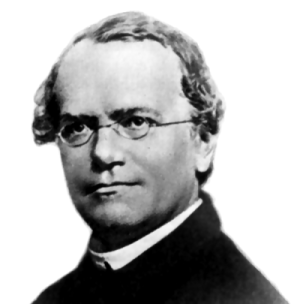 But why so long after Mendel's rules were deeply established, was there a need for such a term? In the genetics of quantitative traits, one can look at the average trait value (say, stature or body fat content of pigs or oil content of corn) in AA's and aa's. If the 'A' were physiologically dominant, then the Aa's should have the same mean value as the AA's. These are clearly statistical statements because unlike green vs yellow peas, there is variation and there are sampling issues (in fact, even Mendel's classical traits had some variation, but little overlap between dominant and recessive plants). What transpires as a rule, however, is that the Aa's are not exactly like the AA's. But a common alternative to Mendelian ideas was that rather than being dominant and recessive, the contributions of the alleles at a gene were additive, like doses of medicine: Each copy of, say, an A allele you have, is a jump in your trait value. In such situations, Aa's would be exactly intermediate between AA's and aa's. If instead they shift towards one of the two homozygote (AA or aa) individuals, this is called statistical dominance. Unlike physiological dominance, statistical dominance has to be evaluated by sampling from a population, and that means in turn that the idea of estimating the net or 'actual' effects of the A and a alleles, depends on the frequencies of these in the population, and more importantly, that also means that environmental and other genomic effects will affect the mean values of the carriers of the 3 genotypes. Statistical geneticists now treat these two kinds of dominance differently, often ignoring the physiological because it is hard to identify in real-world situations of quantitatively variable traits, as opposed to experimental settings with only two clear states, that have been part of genetics ever since Mendel himself. We can relate this to GWAS findings a simple way. If a given allele is common enough in cases for its effects to be found and reach statistical significance, relative to its frequency in controls, then it has a chance to be detected in a GWAS study. But this depends on its penetrance, that is, on the strength of its effects, on their own, on a trait measure like stature or blood pressure, or on the presence of a disease. Highly penetrant alleles will be found more frequently in cases than controls because they have a higher chance of 'causing' the trait. The greater the effect, the more likely if you have the allele you have the disease. This is a kind of 'dominance', because the allele is being detected against the other allele at that gene in individuals, plus whatever other relevant variants they have in their genome. That typically only a few genes are identified in this way shows how relatively rare real dominance is--how far it is from being the baseline, basic nature of inheritance! In fact, most variants that contribute contribute so little--have so little 'dominance' in this context--that we simply cannot detect their individual effects (or those effects are not enough to generate a statistically 'significant' association with the trait). So, dominance is far from the general rule. We will see in the next installment why this should not be any kind of surprise. 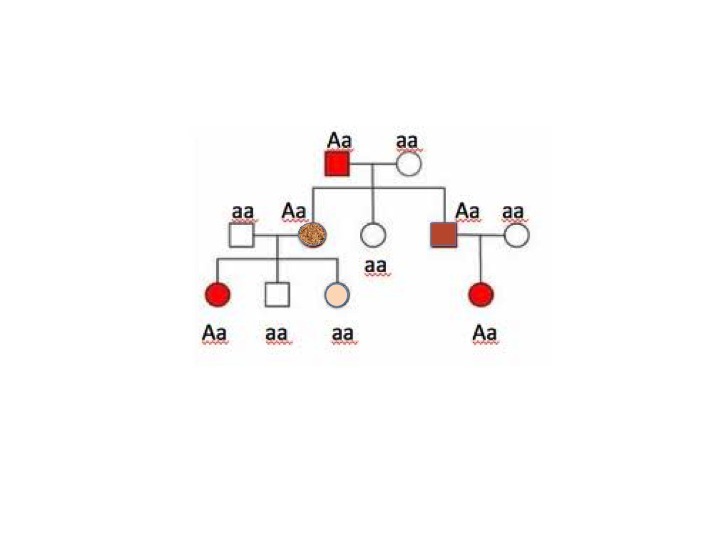 Mendelian Inheritance: Basic Genetics or Basic Mistake? Part I.
Gregor Mendel wanted to improve horticulture in his native Moldavia. The idea was to use hybridization to bring desired traits from different pea strains together by controlled breeding. To do this effectively depended on an understanding of inheritance. 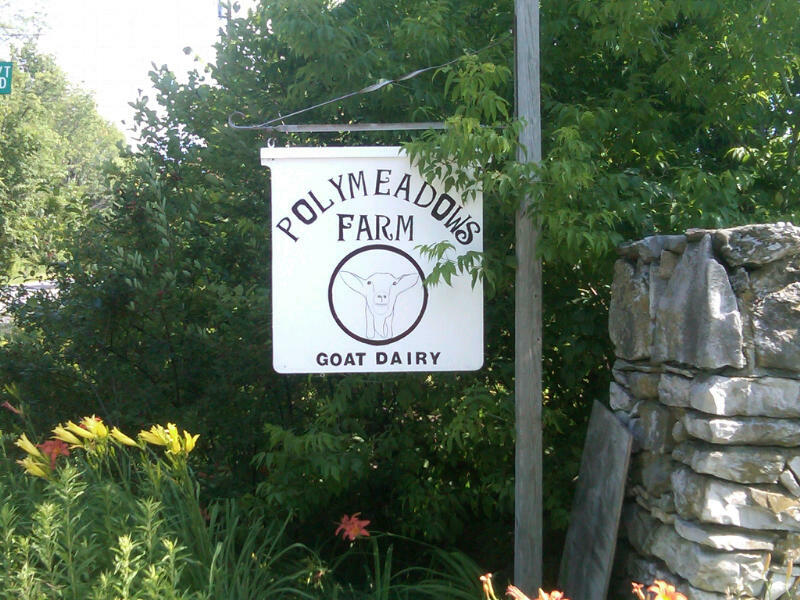 General selective breeding worked for some traits--and had been carried out for thousands of years. 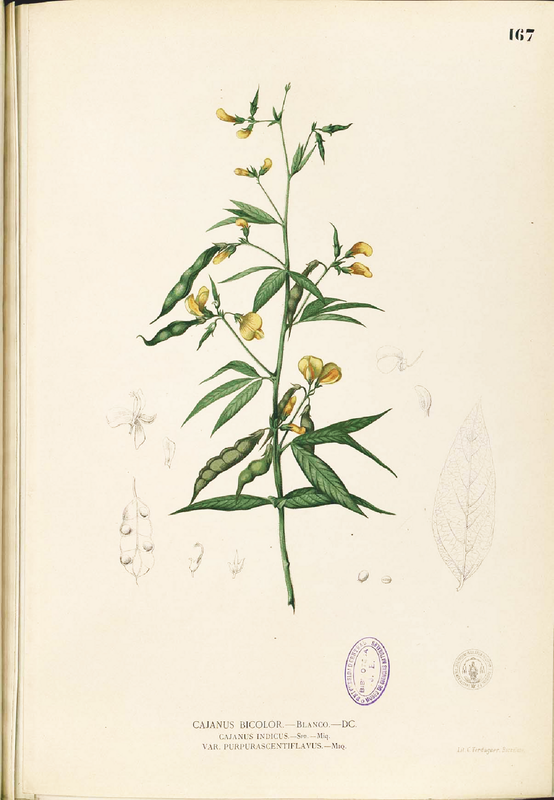 But some traits in the available strains of plants seemed to be dichotomous (two-states, like round and wrinkled), and perhaps there would be effective ways to take one state, say, round peas, and breed that into some other strain that had attributes the round-strain didn't currently have. 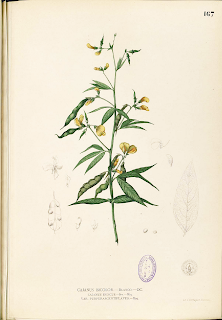 Mendel carefully chose strains of basically inbred pea plants that had simple patterns of inheritance: the dichotomous traits 'bred true' from parent to offspring. He knew there were many traits that did not just have two states, or that did not breed true in this simple way. 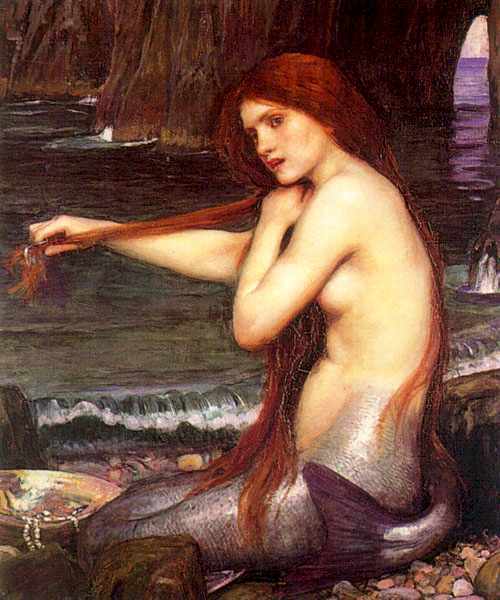 But to understand the effects of hybridization--or we now wrongly say, inheritance--he picked appropriate traits. His seven carefully chosen traits all had an additional attribute that was important in this sense. One of the states was 'dominant' to the other state, which was therefore 'recessive'. These are essentially the terms Mendel himself used. 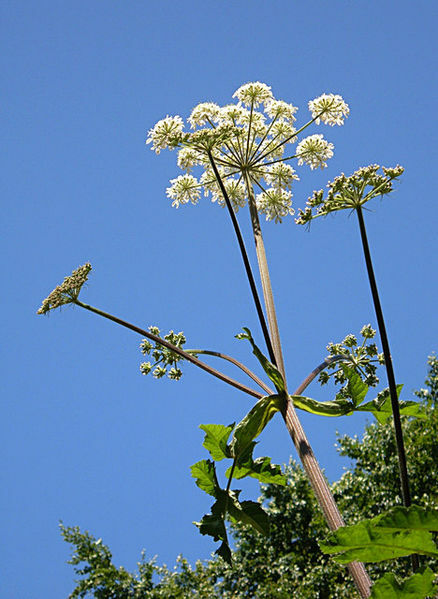 This meant that a plant produced by crossing two parents with different variants of the trait would have only one of the traits. If a plant received an 'A' allele (variant) from one parent, that was enough to give it the 'A' trait, even if it had received the other, the 'a' allele from the other parent. 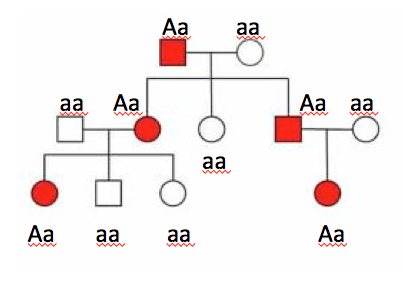 So AA's and Aa's had the dominant trait, and only aa's the recessive. From these, he observed the famous Mendelian ratios that are in all the standard genetics texts and that every geneticist 'knows' to be true. 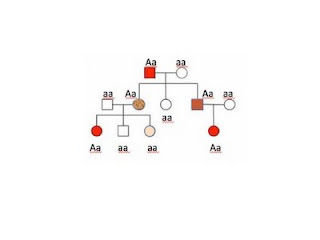 So if an Aa plant were crossed with another Aa plant, since each parent has a 50% chance of transmitting each of its alleles, 1/4 of the offspring of this cross would be AA's, 1/4 aa's, and 1/2 of the offspring would be Aa's. 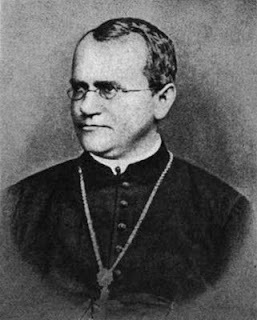 This and other similar conclusions depending on the particular breeding scheme, was what Mendel showed, and what revolutionized the understanding of inheritance and opened the door to powerful experiments in genetics that are our legacy and working basis to this day. Note right off the bat that there was a very big mistaken conclusion that followed: Mendel was showing the nature of trait inheritance, but it was interpreted to mean the laws of genetic inheritance. It worked only because of the 100% correspondence due strictly to the careful choice of 2-state, highly determinative traits in his experiments. Although even that isn't strictly true (see my 2002 paper in Evolutionary Anthropology), it was close enough that even now we confuse inheritance that strictly applies only to genes, with the appearance of traits in offspring compared to their parents. Classically, many 'Mendelian' diseases were identified, because they approximately followed Mendel's laws. Modern biomedical genetics began, around 1900, with Archibald Garrod's studies of 'recessive' traits that arose in inbred marriages, that raised the chance that a child would inherit the recessive allele from both parents (because the genetically related parents shared the allele from their common ancestor). Step by step, we built in the illusion that genes were just waiting their transubstantiation into traits. Until the nature of DNA was understood and we could examine DNA directly we had to work through traits rather than genes, even though we called the field 'genetics'. For decades it was observable traits in experimental species, such as fly eye color, or 'Mendelian' disease, or similar traits in plants. Genetics split into two parts, one dealing with this kind of 'clear cut' particulate inheritance, which eventually led to understanding of how protein-coding areas were arranged along chromosomes, the nature of chromosomes, the nature of genes coding for proteins, and the transmission of DNA from parent to offspring. The other segment of geneticists dealt with the majority of traits that clearly did not 'segregate' from parent to offspring, the quantitative traits like stature, milk-yield, grain nutrient properties and the like, from which the field of quantitative genetics developed. It was more pragmatic and said that a quantitative or complex trait was due to the inheritance of many genes: we might not be able to identify them, but jointly they were responsible for traits in organisms. The similarities between parents and offspring for complex traits was consistent with this view as well. Thus, sight-unseen, inheritance of traits was the underlying theory, equated to the inheritance of genes, even when we couldn't identify the genes. When the DNA sequencing age gradually developed, we got the idea that by tracking down genetic variance we are tracking down inheritance variance--the extension of the Mendelian illusion that genes were the same as traits! This has led to the problems that we so widely see (but are so widely waved away) in studies like GWAS: we are not really finding the genes that 'cause' our favorite traits (including most diseases). Of course all of this is manifestly a Grand Illusion! Even a fertilized pea ovule does not have peas, wrinkled, green, or otherwise! Once the connection between a gene and a trait becomes less than 100%, or once many genes contribute information about a trait, we see how obviously Mendelian ideas were a badly misleading mistake. They were great for providing ways to set up experiments that isolated genetic effects and led to an understanding of genetic inheritance. But they were, from the beginning, very misleading about trait inheritance. In the next installments of this series, we'll examine the idea of dominance and genetic effects further, and will eventually ask whether, surprisingly, there really is such thing as dominance in the first place! Well, the NYTimes today has a story by Mark Bittman on the toll that junk food is taking on our national health. Bittman says that a 20% tax on sugared beverages would raise billions in revenue that could be put towards health improvement, and would prevent 400,000 people from being diabetic, would greatly reduce our national obesity problem, and would save $30,000,000,000 (that's billions) in health care costs. These are facts so well known that it's only the specific estimates that justify a major story. Why we haven't long ago done something about it is more complex, and not a tribute to human nature--unless it's a tribute to selfishness. That's another subject. For us what is relevant is that in a time when we're trying (at least some are) to make health care available to all in the US, and to curtail health care costs, the debate is about profits, HMO efficiency (that is, reducing care quality), what insurance won't have to pay for, and so on. Meanwhile, right beneath our noses are major answers. Of course, lots of industries, such as testing equipment makers, test labs, and Pharma don't want to see a reduction in their customers (the obese, diabetic, hypertensives, and the like). Removing the overwhelming burden of clearly environmentally caused diseases is simple, but doesn't require lots of research grants to keep the glucose flowing through the veins of universities, so it will naturally be resisted. But if that were done, the diseases that would remain would be those more truly genetic cases of the same diseases, cases that occur without environmental triggers. The mask of all the non-genetic cases--most cases--would not blow away the power of GWAS and other kinds of studies as it does today. Genetics has already under-delivered on the promise of the use genetic data to actually do something about these diseases. Most of the decades-known genetic diseases are still here with no gene-based therapy available. We don't think that geneticists should be faulted in this regard, except for their self-aggrandizing hype, because the problems are difficult. Still, once a gene is known, preventing or treating the disease is in a sense an engineering problem (getting an improved gene to replace a defective one or its effects), and one wouldn't want to bet against our ingenuity and technology when it comes to engineering. So we should implement environmental measures to reduce the disease burdens, pull the plug on research that is going nowhere based on over-geneticizing disease, and intensify research on those traits that really are genetic to show that genetic knowledge and technology really can make a difference other than to the careers of geneticists (like us). Of course, this won't solve two problems. First, if fewer people get or die from these common environmental diseases, people will last much longer, decaying gradually, suffering more years of increasingly helpless debility and demanding resources, energy, food, and care-taking that are already in short supply. And, second, universities not being any more willing to be good citizens than businesses are, will shift their demands for research funds to 'meta' studies: studies of social aspects of lifestyle changes, of aspects of living longer, of surveys of how people feel about all of this, and so on. Because we'll find something to keep ourselves in business, to keep the bureaucrats' portfolios full, and the like. Only cuts from the funding source will force universities to cut back on go-nowhere programs that exist mainly because they bring in funds. These comments may sound rather misanthropic, but if you've lived and worked in the university setting as long as we have, you'll know that there is truth in what we say. There are many traps in human life, real existential traps. Curing one disease makes room for another, and worsens overpopulation and resource burdens. Closing down useless research programs costs people jobs. But when we know how to ameliorate major problems, but spend our resources on small vested interests (like the research industry) rather than on the major problems, criticism is justified. That there are no escapes from the existential traps is another, genuine and serious thing to think about. Two papers have appeared this week about the nature of recombination in humans, one in Nature Genetics, by Wegmann et al. ("Recombination rates in admixed individuals identified by ancestry-based inference"), and the other in Nature by Hinch et al. ("The landscape of recombination in African Americans"). Do they add anything new to what we know about recombination or human evolution? When sperm or egg cells are about to be produced, all our 23 pairs of chromosomes line up against their corresponding partners in the center of the cells, before being pulled apart into the separate daughter cells that will eventually be the sperm or egg cell, in which one copy of each will be present. One might expect that a sperm or egg cell would have either the copy of, say chromosome 3, that the parent got from his or her parent, and is thus transmitted intact to the future grandchild. But this is not what happens. Instead, the lined-up 'homologous' chromosomes stick to each other here and there, and swap pieces. This is called recombination and means that the grandchild receives a mix of pieces of each grandparent's chromosomes. Recombination is treated generally as a random process: the chromosomes stick to each other in random places along their length. But this is inaccurate. The sticking points happen more frequently in some places than in others. This differs from chromosome to chromosome and even to some extent between males and females. Why is that so? One reason is that recombination is effected by active mechanisms that involve proteins (that is, that are coded for by genes somewhere in the genome) and the DNA sequences that these proteins stick to in bringing recombination about. 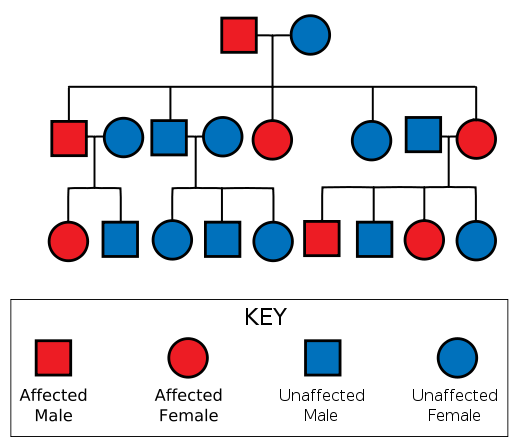 Variation in those binding sequences can affect the frequency with which recombination will occur. The results show up statistically as relative hot-spots of recombination. 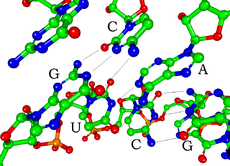 Recombination generates new variation (new combinations of genetic variants) as a resource with effects on evolution, and this is because these combinations can have effects on the organism's traits. By comparing the AfAdm [African admixture] map to existing maps, we were able to make several observations: (i) there is evidence for subtle population differences in recombination rates between African and European populations, (ii) African-European admixed individuals appear to have recombination rates that are, on average, intermediate between the African and European rates, and (iii) the degree to which the rates are intermediate is predictable from the average ancestry coefficient (~80% African and ~20% European) in our sample. Further, in admixed individuals, recombinations appear to be concentrated at hotspots in a manner correlated with ancestry: individuals with more African ancestry have recombinations at hotspots found in the HapMapYRI map, and individuals with more European ancestry have recombinations at hotspots found in the HapMapCEU map. These observations are consistent with the differentiation between populations for fine-scale recombination rates1–5 and with the European-African differentiation at PRDM9, the only known major locus affecting fine-scale recombination rates. Whether this is important, or worth whatever its costs were to discover, is open to question. Could the same not already be, or have been, known from work on other species where it would be much less costly? And if it has effects on disease--always the self-interested rationale of investigators by which such stories are touted in the news--such effects would be detectable by the current methods (such as GWAS) that hunt for them. So these papers provide what might be useful and important information about a basic aspect of cell biology and the generation of variation. The value will prove out in the future, but certainly our repertoire of basic knowledge about variation, and in this case human variation, is increased thereby. A comment in the current issue of Nature, "Genomics for the world", calls for including non-Europeans in the genomic revolution. In the past decade, researchers have dramatically improved our understanding of the genetic basis of complex chronic diseases, such as Alzheimer's disease and type 2 diabetes, through more than 1,000 genome-wide association studies (GWAS). These scan the genomes of thousands of people for known genetic variants, to find out which are associated with a particular condition. Yet the findings from such studies are likely to have less relevance than was previously thought for the world's population as a whole. 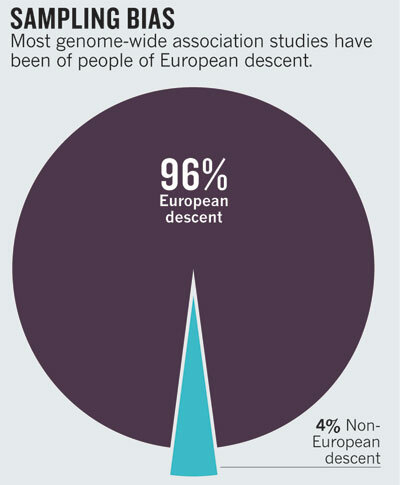 Ninety-six per cent of subjects included in the GWAS conducted so far are people of European descent. And a recent Nature survey suggests that this bias is likely to persist in the upcoming efforts to sequence people's entire genomes. 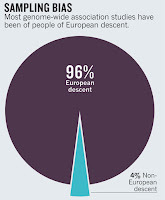 Geneticists worldwide must investigate a much broader ensemble of populations, including racial and ethnic minorities. If we do not, a biased picture will emerge of which variants are important, and genomic medicine will largely benefit a privileged few. And success is always just out of reach -- if only. If only we have bigger samples, or more heterogeneous samples, or less heterogeneous samples, or more markers, or whole genomes. The 'missing heritability problem' has led many to become dismissive of GWAS. A danger of this GWAS fatigue is that it deters others from applying the approach to populations where it is likely to yield excellent results. GWAS has proved most successful in relatively small homogeneous populations — in Finland, Iceland and Costa Rica, say, where people generally stay put. Large families and limited migration are common among populations in Latin America, Africa and South Asia — suggesting that new and important associations between diseases and regionally common genetic variants may be found easily in these groups. Well, yes, the ultimate in relatively homogeneous studies, family studies, have been quite successful in finding genes -- in cases of clearly genetic diseases. And it has been known for decades that different alleles or even different genes can lead to a similar phenotype. So it's no surprise that studies in isolated populations might yield results, but if they aren't usually generalizable beyond a single family or a small population, that isn't going to be widely useful. Nor have the genetic underpinnings of common chronic diseases been reliably or very usefully demonstrated, even in small homogeneous populations, so optimism about finding genes for diseases like heart disease or type 2 diabetes or asthma is pretty much unwarranted. That said, including non-Europeans in medical studies is a laudable goal. And yes, genetic variation by geographic ancestry is to be expected. This was a point made in more than one journal paper by Ken many years ago when one-size-fits-all markers were touted as justification for the HapMap project....but it was an inconvenient, if obvious, truth that was ignored. 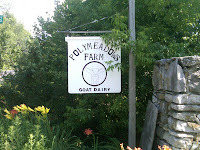 The underlying reasons were not very savory and beyond this post. So who is pushing this now? Geneticists who want to confirm their belief that GWAS work, that rare variants will explain the 'missing heritability' that isn't being captured by these studies now, and that all we need is bigger or more varied samples to prove it. And, pharmaceuticals pursuing the dream of the 'druggable' genome. And everyone who wants the largesse to continue pouring into this kind of science (which, not incidentally, will deprive other areas of funds, in the zero-sum game of research funding). One perhaps cannot blame the researchers for wanting research funds, or biotech firms wanting business, but nobody seems to be watching the priority store. But even if the world is someday representatively sampled and included in genetic studies, "genomic medicine is going to largely benefit a privileged few" anyway. First to benefit will be the sequencers and the makers of the sequencers, and they will benefit handsomely, and direct to consumer genome-risk selling firms, followed by the analyzers of the resulting bioinformatics who will be able to mine the data, and apply for grants for follow-up studies when they don't get definitive answers, and then maybe (and, yes, hopefully!) a few people with clearly genetic diseases. Even in rich countries genomic medicine is going to remain unaffordable for most people for the foreseeable future -- trickle-down doesn't work here either. And that's assuming that there are benefits to be had! But, as we write about frequently here, widespread benefits of this kind of research haven't yet been demonstrated, and there are many reasons to believe they will be few and far between anyway, even at best. Meanwhile, when it comes to public health, other avoidable disorders go under-attended. And once again we have to ask whether the largesse being showered on medical genomics could be better spent on prevention. As a colleague once said to us, it would be a lot cheaper to give everyone at risk of type 2 diabetes a personal trainer than to do all these genetic studies of the disease. And it would do people a lot more good! Studies of the genetics of T2D have been ongoing for 40 years -- including in non-European populations -- and have yet to yield significant results. Or prevent a single case of diabetes. Even sickle cell and ApoE related diseases are not yet very, if at all, solved in a way that is based on genotype data. Sickle cell was discovered more than a century ago. The promises of genetically based genomics may have been sincere, but they have proven to be hollow even in a medium term sense, despite various exceptions that one might cite. The thousands of GWAS hits are being misrepresented as such exceptions as a rule. Pushing, exaggerating, and hyperbolizing expensive genetics research, even if it will get investiators interesting things study and subsidized visits to exotic places, is a highly, and usually knowingly cynical, way to lobby for funds (because this is often acknowledged in private). If one is as smart as a researcher at a privileged university, you could perhaps fairly be asked to use your intelligence to solve important problems on modest budgets and save the megabucks for real, proven public health improvements. We suggest that we are at a point in our understanding of disease causation where lobbying for increased funding for genetic studies is simply to a great extent unethical. One thing that has been found in recent years, and about which knowledge has been rapidly expanding is that the grand old 'Central Dogma of Biology', that one gene codes for one protein is, well, substantially wrong (to be kind to it). The Central Dogma held that DNA is a string of codes that specifies messenger RNA (mRNA) that is translated in the cell into protein. One gene, one protein. That was how it looked when the nature of DNA was first being discovered. But it's been decades since we knew that was not accurate. 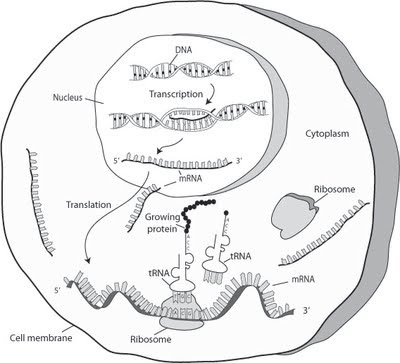 some mRNA is 'edited' after being transcribed, in replicable ways sometimes conserved among distantly related species, in which one nucleotide copied from the DNA template is replaced by a specific other nucleotide, thus changing the function, including the protein code, of the mRNA. These are among many other things that we now know to be parts of DNA function. They don't change the basic idea that DNA specifies protein structure, but there are so many details, of so many sorts, that it is clear that the idea of the Central Dogma is essentially wrong. Yet, why do we still have 'exome' sequencing in so many expensive studies, or gene 'for' this or that trait, in so many expensive studies, when we know how simplistic this is? There are many answers, and we regularly harp on them. Here, the main point is that these discoveries are real, their importance highly variable and mainly unknown, and that they always add to, but rarely if ever reduce, the complexity between DNA and the traits that it affects. Promises of simple prediction have been aided and abetted by the addictive discoveries that really work like the genes Mendel studied in peas. We do a lot of hand-waving to dismiss complexity, but we cling like drowning sailors to life-rafts to the simple, Central Dogma, in the fervent hope that we'll find the Big Gene Story. Yet those who are thinking about science itself, rather than about what they have to do to maintain their careers, know very well that we know very little about the nature of genetic function. Dogma should not be part of science. But historians and philosophers of science have shown that it certainly is. A new book, for example, shows how this has affected immunology for decades, as investigators clung to a 'fictive' theory, the idiotype network theory, even though it never had much basis (the book, The network collective: Rise and fall of a scientific paradigm, edited by Klaus Eichmann, is reviewed in the July issue of Bioessays). There's no place for dogma in science, nor for the tribalism that accompanies it. But, well, we're only human so purging the motivations that drive dogma, and the careers that are made on its basis, may not be in the cards. If even a tenth of what's being said about vitamin D these days is true, those of us astute enough to supplement what we get from the sun are destined for a ripe old age. Or, if we're already old, and female, taking vitamin D might extend our lives even further. We have known for some time that mums-to-be with low vitamin D levels during pregnancy run the risk of having ­a child that may develop diabetes. This latest study concluded that other conditions like asthma, autism, multiple sclerosis (MS) and Alzheimer’s could be related to low levels of maternal vitamin D.
Yes, Vitamin D is "Summer's Superhero"! “Vitamin D deficiencies are rampant amidst our nation and could possibly lead to an increase in the most troubling diseases of our time,” said Steven Hotze, M.D., founder and CEO of PPVS [Physicians Preference, vitamins and supplements]. Indeed, Mozart may have died of vitamin D deficiency! Think what music the world is missing because he slept during the day when he should have been sitting in the sun, and composed and caroused all night. Well, how much of this hype is actually true? And how would we know? A Nature News Feature published online on July 6 details an ongoing debate on this question. Recent recommendations have been that we are all vitamin D deficient, and should be boosting our vitamin D with sometimes megadoses of D3 supplements. Naturally, many scientists who've been researching this subject now have vested interests in plugging supplements, and, as always, this makes it harder to separate the wheat from the chaff. Much is at stake. By 2009, the amount spent on vitamin-D supplements in the United States had risen tenfold in ten years (see 'Raising the stakes'). Medical practitioners and public-health officials worldwide look to the IOM for guidance on how to interpret the conflicting claims about vitamin D. Yet several vitamin-D proponents say that the IOM's methods, which involved a systematic review of the literature, were flawed. They have accused the panel of misinterpreting data and over-emphasizing the danger of heavy supplementation. Just last month, the Endocrine Society, a professional association of 14,000 researchers and clinicians based in Chevy Chase, Maryland, released guidelines that recommend higher doses than the IOM did. Why, instead of clearing confusion as was the IOM's goal, has the report sown division and unrest? "The IOM was too definitive in its recommendations," says Michael Holick, an endocrinologist at Boston University School of Medicine in Massachusetts, and an outspoken critic of the IOM panel's conclusions. "Basically, the vitamin-D recommendations are based on low-quality evidence," says Gordon Guyatt, a clinician researcher at McMaster University in Hamilton, Ontario, who has been a consultant on various guidelines. "I think admitting that would have made some of the angst disappear." Indeed, many observers, interested and disinterested alike, recognize that there's a lot of questionable science in the vitamin D field. It's hard to figure out how recommended levels have been set, there have been few if any prospective studies starting with a cohort of healthy people and following them forward, and many that look at vitamin D in people who are already ill. Such studies are confounded by the fact that people who are ill tend to stay indoors, out of the sun and thus not synthesizing vitamin D, so it's not possible to know whether the vitamin D deficiency (deficiency according to current standards, however they were determined) preceded and thus led to the illness, or was a result. Many studies have too few subjects for results to be robust, and so on. Perhaps IOM panel members underestimated the passion present in the vitamin-D field. Physicians who recommend high doses of vitamin D might not want to believe that the evidence they have trusted isn't quite up to par. "One thing I wasn't aware of before, is the tremendous pressure from industry and investigators who are tied to their religious belief in vitamin D," says Rosen. So given all of this, why would one ever think of pouring more research funding down this sink-hole, to identify the obviously minor if not trivial effects over which these debates are centered? Clear vitamin D deficiencies are not at issue. Several years ago, we did an extensive review of the vitamin D literature and we, too, were unassailably convinced that most conclusions, from recommended blood levels to the diseases caused by deficiencies, were based on questionable to poor data. As far as we could tell, basic questions are still unanswered, including almost everything about mechanisms of action. This is another instance of correlations being assumed to be causation without biological justification. To put it bluntly, the idea that we are all vitamin D deficient is manifest, blatant biological, and evolutionary clap-trap. It is at the very least extremely naive and superficial thinking. We live hugely longer and in better health than our ancestors did, when natural selection--to the extent that it cared--established the required levels for successful survival and reproduction. So the assertion of pandemic deficiency really can mean no more than that we might be somewhat better off, or live even longer, if we doped up on the advocates' dietary supplements. Such panacea talk is not new to human society, but in an age of science should be roundly stamped out, because it is misleading.